Dr. John Powell Berry, age 74, of Winfield, passed away, Thursday, March 28, 2019 in the Northwest Medical Center in Winfield. Dr. Berry was a 1962 graduate of Fayette County High School and a 1987 graduate of Life Chiropractic College in Marietta, GA, where he earned his doctorate degree. Dr. Berry was the owner/operator of Lamar Chiropractic Clinic in Vernon, AL and has served the people of the area since 1987. He was a member and served as an Elder at Winfield Church of Christ. Dr. Berry is survived by his wife of 50 years, Linda Walker Berry of Winfield, son, Dr. John Allen Berry of Huntsville, AL, daughter, Natalie Berry Morris (Chuck) of Jackson, TN, granddaughters, Katie, Claire and Mia Morris of Jackson, TN, a sister, Lana Sweatt (Owen) of Fayette and nephews, David Sweatt (Flori) of Florence and Brian Sweatt (Brandy) of Tuscaloosa. He is preceded in death by his parents, Powell Daniel Berry and Bessie Lee McNees Berry. Funeral services for Dr. Berry will be held at 3:00 p.m. on Saturday, March 30, 2019 from the Winfield Church of Christ with burial to follow in the West Alabama Memorial Garden in Gu-Win. James Wyers, Mark Posey and Harrison Moran will officiate. Visitation will be held on Saturday from 1:00 p.m. until 3:00 p.m. at the church. Bowen Funeral Home serving the Berry family. Ms. Sarah Sue Tucker, age 74 of Eldridge, passed away on Saturday, March 16, 2019 at her residence. Ms. Tucker was preceded in death by her parents, Doyle Norris, Sr. and Annie Lou Etta Smith Norris. She is survived by her children, James Edward Tucker (Brenda) of Town Creek, AL, Matthew Tucker of Eldridge, Timothy Lee Tucker (Sandra) of Nauvoo and Peggy Sue Bourland (Gary) of Winfield, grandchildren, Tyler Tucker (Kayla), Zachery Estes (Ellen), Cory Estes, Amber Wisdom, Allison McAllister (Christian), Derrick Bourland (Brandy), Eric Bourland, Tyler Derrick, 15 great grandchildren, sisters, Jewel Chaney of Berry, Carrie Lou Norris and Lou Nell Norris of Eldridge, brothers, Doyle Jr. (Ruth) Norris of Winfield, Kennith (Vickie) Norris of Rainbow City, Jerry (Marrie) Norris of Fayette, and Robert Dale Norris of Eldridge, and a host of nieces, nephews and other relatives and friends. 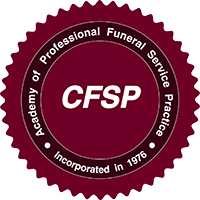 Funeral services will be held on Monday, March 18, 2019 at 5:00 p.m. from the Bowen Funeral Home chapel with burial to follow in the Spring Hill cemetery near Nauvoo. Visitation will be held on Monday from 3:00 p.m. until 5:00 p.m. at the funeral home. Joey Vick will be the officiating minister. Bowen Funeral Home serving the Tucker family. Mr. Daniel Richard Eads, age 84, of Tuscaloosa formerly of Brilliant, passed away Tuesday, March 12, 2019 at Hospice of West Alabama in Tuscaloosa. Mr. Eads was employed with Southern Energy Homes of Double Springs as a mobile home service technician. He was retired from the United States Army serving during the Korean War. He was preceded in death by his parents, Dan and Jessie Mae Eads, a sister, Chasteen Franks, and a brother, Lee Eads. He is survived by his wife, Frances Hughes Eads of Tuscaloosa, a daughter, Denise Carter (Ronald) of Tuscaloosa, a son Danny Eads of Winfield, six grandchildren, Brandi Ledbetter (Lee) of Winfield, Tiffanie Clanton (Shane) of Tuscaloosa, Chrissy Youngblood (Dustin) of Hubbertville, Courtney Carter of Birmingham, Jim Eads and John Eads both of Tallapoosa, GA, six great grandchildren, Conner Goodson, Logan Clanton, Dawson Youngblood, Gavin Clanton, Jagger Youngblood, and BrayLee Ledbetter. Funeral services will be held on Saturday, March 16, 2019 at 2:00 p.m. from the Evergreen Baptist Church in Vance, AL, with burial to follow in the Evergreen Cemetery. Visitation will be Saturday, March 16, 2019 from 1:00 p.m. until 2:00 p.m. (service time). Bro. Jack Cleary will be the officiating minister. Bowen Funeral Home serving the Eads family. Mrs. Lonnie Mae Howell Trull, age 95, of Winfield, in the Bazemore Community, passed away on Monday, March 4, 2019, in the Northwest Medical Center in Winfield, AL. Mrs. Trull was born on May 5, 1923 in Monroe County, Mississippi to Auzzie and Bessie Cochran Howell. She was a member of Piney Grove Church of Christ and was retired from Brilliant Coal Company. She was preceded in death by her parents, her husband, Joe S. Trull, a son, Addison Trull, daughters, Ruth Sudduth and Josephine Coleman, two grandsons, Laron Trull and Norman Sudduth, and two brothers, Marshall and George Howell. Mrs. Trull is survived by her son, Joe Trull (Linda) of Carson, CA, her daughters, Mary Ann Griffin of Bazemore, AL and Barbara Trull of Birmingham, AL, a sister in law, Nettie Howell of Champaign, IL, ten grandchildren, fifteen great grandchildren, and a host of nieces, nephews and other relatives and friends. A celebration of life will be held on Saturday March 9, 2019 at 12:00 noon from the Piney Grove Church of Christ with burial to follow in the Piney Grove Cemetery. The visitation will be held from 11:00 a.m. until 12:00 p.m. (service time) at the church.William “Bill” Davis will be the officiating minister. Bowen Funeral Home of Winfield serving the Trull family.